In the course of an interview with Kyiv’s Apostrophe portal, Russian commentator Andrey Illarionov says that “Belarus is candidate number one for a Russian invasion,” a conclusion that takes on added weight given that the Kremlin is likely to view anti-Lukashenka protests as a cover for such actions just as it did earlier in Ukraine. On the one hand, Illarionov says, Moscow depends on Lukashenka: “Practically any other Belarusian government would adopt a course toward integration with Europe.” But on the other, Moscow is increasingly angry at Lukashenka for his independence and may want to take more radical measures to bring Minsk back into line. The Kremlin has several possible options, ranging from replacing Lukashenka with someone on whom Russia can rely more confidently while allowing Belarus to preserve its “formal national independence” or take steps toward “the complete integration of that country into Russia,” something that would require at a minimum a show of extreme force. 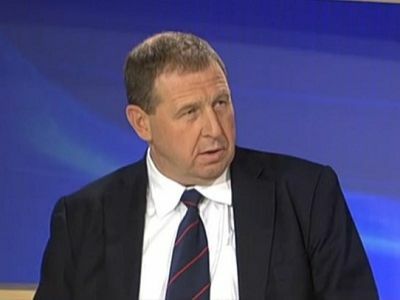 Illarionov’s analysis is given new urgency by developments in Belarus in the last several days, including the largest mass demonstration against Lukashenka since 2010. That is because, if Vladimir Putin follows the script he did in Ukraine, he may see such popular actions as portending another Maidan that would take Belarus even further out of Russia’s orbit. Three years ago, Putin invaded Ukraine and illegally annexed Crimea, albeit in his favored “hybrid” way that allowed him to deny and many to accept his denials that that is exactly what he had done and is doing. And the Kremlin leader may remain convinced that the West, especially in its current disorder, will not take serious steps to block any such move. Moreover, the likelihood that Putin will now decide on an invasion is likely increased by one aspect of the situation in Minsk that recalls Kyiv in 2013 and that is more frightening to the Kremlin leader than almost any other. The mass protest was not organized by the traditional opposition parties but was spontaneous from below and thus political in a new way. That point has been made by two Belarusian outlets (BelarusPartisan.org and Naviny.by), and Moscow is likely to view this protest not as just the latest in a long line of Belarusian discontent but as something fundamentally new and threatening. If that is the case, Putin is likely to move against Belarus in the coming days, especially if there are no clear signals from the West that such a move would make absolutely impossible any cooperation with Russia in the foreseeable future.